Dragon Quest XI is just a few months away and Square Enix was on hand at E3 2018 to discuss the game and show it off with a flashy new trailer. While chatting with the team about the latest entry, which is equal parts a fresh start and an homage to its past 30 years, I couldn't resist asking if a long-running rumor I heard about the series was true or not, regarding why games launch on the weekend in Japan. We've long heard that Square Enix isn't allowed to release games on weekdays because the franchise's popularity causes younger fans to skip school to pick up the latest entry. I had always wondered if there was any truth to this, or if it was just an exaggeration to showcase the series' die-hard fanfare in Japan. I took my opportunity and asked the team to confirm or deny this myth's validity. "In short, yes that is true," said producer Yuu Miyake. He explained that series used to launch on Thursdays no matter what, but back in the early era of Nintendo, it took a long time to produce physically, to manufacture games. Therefore, when launch day hit, there was a limited quantity available and stores would sell out quickly. "When Dragon Quest III came out, tons and tons of kids skipped school to go buy the game," Miyake said. "The police actually said, 'You guys need to do something about this. This is not okay.' [This was] back in the era of Enix, and so Dragon Quest started being sold only on Saturdays. Actually, it's the only [series] sold on Saturday." There you have it. That's why the franchise has launched new entries on weekends. 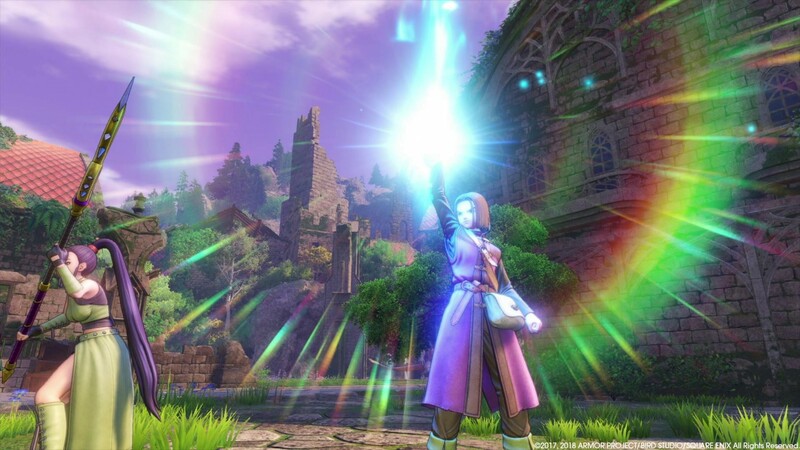 For more on the upcoming Dragon Quest XI: Echoes of an Elusive Age, check out our recent preview here.